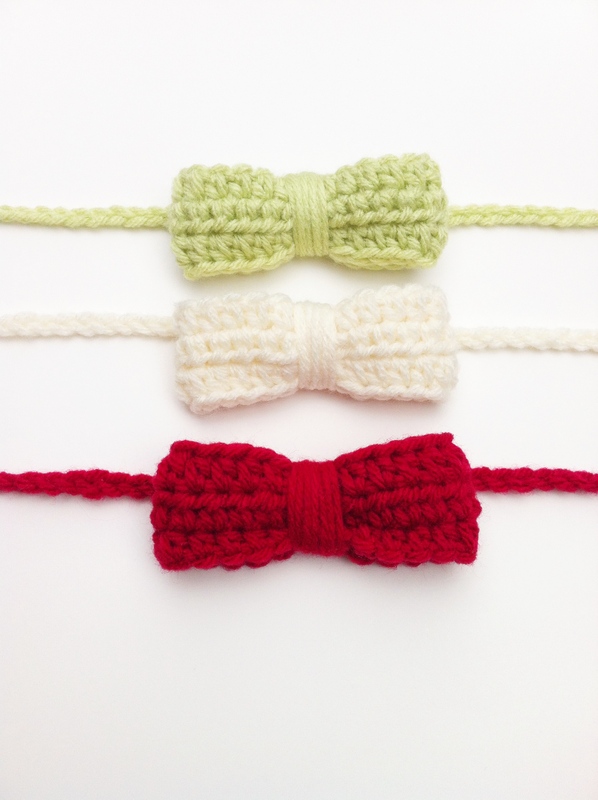 Thought I would finally share these tiny crochet bows. There is nothing super crazy or special about how I made them. Just your typical crochet rectangle which I cinched in the middle to create the bow look. I attached them to an extra long crochet chain so that the chain can be tied to fit anyone wanting to wear it, young or old (me). Perfect headband or even…..wait for it…… a bow tie!! I love ’em. They make me smile. 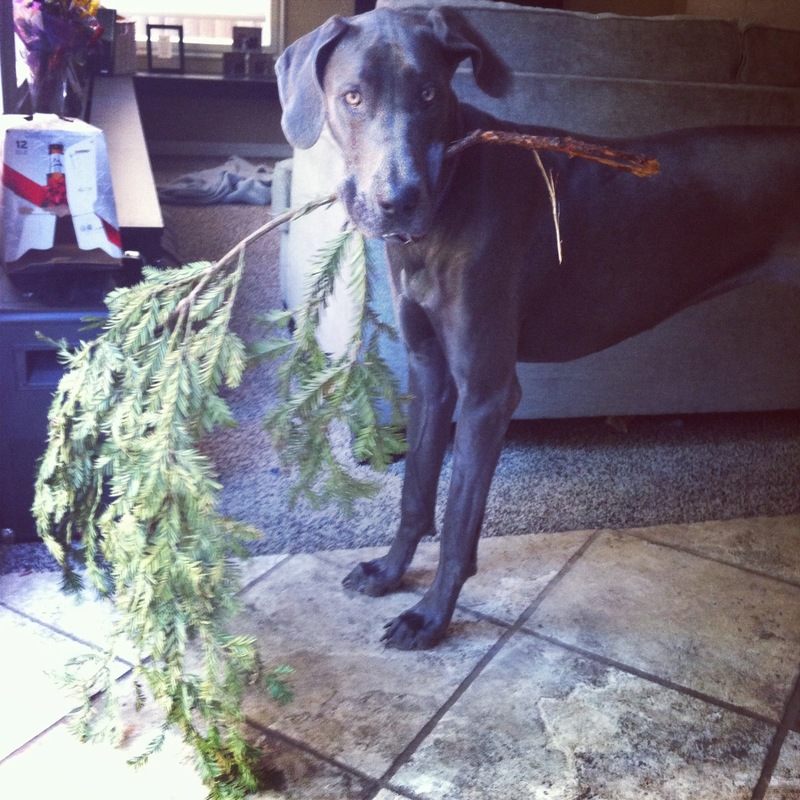 Well, I might not have had a whole lot of Holiday spirit this year but Ivy my Dane sure did. Here she is after sneaking a GIANT tree branch into the house and acting as if though it was no big deal. All she needed was a string of Christmas lights to complete the picture. It was shortly after this we finally put our tree up (luckily a fake one cus otherwise it woulda suffered branch dismemberment).